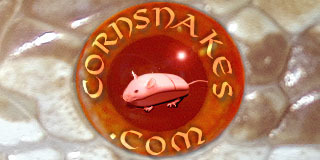 Husbandry and Basic Care General stuff about keeping and maintaining cornsnakes in captivity. Is this good for corn snakes. I see some people use it. What are the pluses and minuses? Are they really escape proof? it would be ok I guess, but corn snakes are climbers and would be more at home in something taller. I have an exo terra similar to the one you are referring to, but the taller version with things to climb on. The folks that keep snakes in 4 inch tall trays in a rack would tell you that one is fine, which is why I say it's ok.
ok Funny I read that they arent climbers and prefer lower terrariums. Glad I asked a pro. Corn snakes are great climbers. One of the guys I know said you have to look in the small trees and bushes when herping, as corns try to find bird nests. I have found snake sheds hanging in the bushes, but couldn't tell if they were from corns. I'm too lazy to try counting scales on the sheds. 36 in x 18 in x 18 in....is that more appropriate then? Or what would you recommend. Can you link me to an example please. Exo-Terra enclosures are really nice, but pricey. When I was looking for vivariums for my reptiles I went to the pet shop and asked if they had any aquariums that were cracked and couldn't hold water. I bought a 40 gallon with a crack along the bottom and a locking screen top for about $30. But if you are not concerned with the prices I'd buy a nice Exo-Terra. I LOVE the exo terra because of the front opening. I love that about them. Is there other options for that? I made my own doors on enclosures that I built. Unless you are handy it's best to buy what you like. I am not handy at all lol. I need to buy one. The 36x18x18 would be a great size. That is the exact size I am looking to get next for mine.